The Jury Panel of the International Fair of Road Construction Industry AUTOSTRADA POLSKA, the International Construction Equipment and Special Vehicles Fair MASZBUD and the International Fair of Road Transport - Commercial Vehicles - ROTRA Utility Vehicles, on the basis of applications sent by companies has resolved about the medals and distinctions presented at the fair. The jury panel chaired by professor Engineer Wiesław Trąmpczyński, professor Engineer Marek Iwanski PhD Hab. , Professor Engineer Jan Szlagowski PhD. Hab., Engineer Tadeusz Dzienis MsC., Engineer Marek Gajewski MSc. and Katarzyna Milczarek, having alanysed the products submitted for the competition and the technical documentation resolved to award the following companies. The AUTOSTRADA POLSKA expo - the distinction goes to Airhitone CM5 P - gas neutralizer by Westrand Depollution Marek Szatkowski. 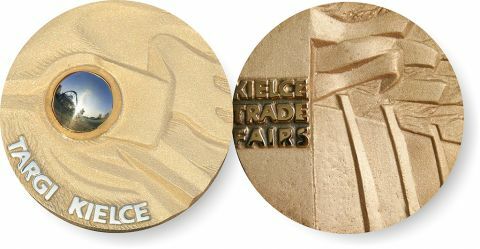 The medals are awarded to: VÖGELE MT 3000 - 2i OFFSET material feeder by Wirtgen Polska and MEGARAIL BK bridge barrier by Saferoad RRS Polska. The MASZBUD - the distinctions are presented for vision system with complete dead zones elimination - Brigade Select 3600 by Brigade Electronics Polska. Congratulations and we wish you all possible success! AUTOSTRADA - POLSKA - the International Construction Equipment and Special Vehicles Fair complemented with the other events – the International Fair of Infrastructure, Airport Technologies and Infrastructure Exhibition TRAFFIC-EXPO- TIL , the International Construction Equipment and Special Vehicles Fair MASZBUD, and the International Fair of Road Transport - Commercial Vehicles ROTRA is held in Targi Kielce from 8 to 10 May. Save the date – we look forward to seeing you.